On my journey to R&D level 40 I learned a number of things about the Brig and the Waiting Room, both of which play a crucial role in the advanced stages of the game. Correctly understanding the mechanics of these two "holding areas" will make the journey to higher levels a more pleasurable experience. 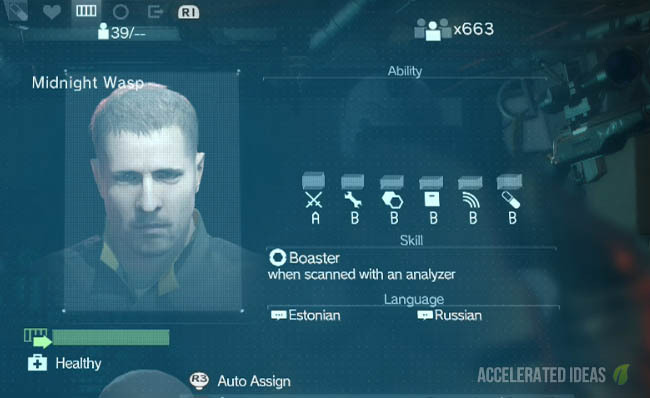 One of the most interesting findings was that The Phantom Pain employs a real time progression system. It's entirely possible to sit in the chopper (ACC), leave your PS4 turned on overnight and wait while your Base Units level up automatically. I'll cover this in detail below but first let's take a look at the Brig. Mother Base is like any military establishment in that it has its own prison section, used for holding enemy soldiers. The majority of soldiers you Fulton back to base will actually be placed in the Brig for a limited time. Following a lengthy wait, the soldiers are convinced to join Diamond Dogs and they leave the prison area and join one of the units (R&D, Intel etc.). If there isn't space in a unit and this person cannot outrank an existing staff member then they're automatically placed on the waiting list. 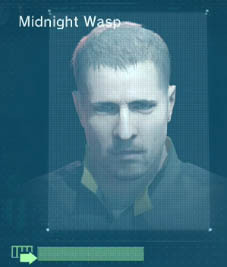 Interestingly, every solider in the Brig has a little green progress bar under their profile photo. This is extremely important and can easily be missed. It's an indication of how long before this soldier will leave the Brig. A long green bar is good because the recruit should leave within the next hour. A tiny bar is bad news because it'll take several hours before they leave. Take time to skim through the bottom half of the Brig list to get a glimpse of who will be leaving soon and when you can expect to level up your Base Units in the near future. Probably the most important thing about the Brig is that it's a locked down area. You can't remove recruits! This causes a few problems later in the game as you start to fulton more and more soldiers. 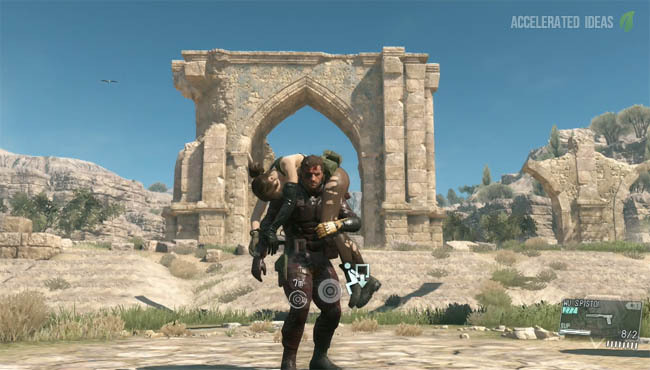 Running out of space in the Brig can negate your farming tactics; it's almost a complete waste of time Fultoning new soldiers because they'll be immediately dismissed if there's no holding space at Mother Base. Please, for your own sanity keep an eye on the Brig before you start farming for high ranking officers otherwise you'll waste alot of time and effort. Like the Brig, the waiting room has some potential pitfalls too. It also contributes to holding space at Mother Base and you'll discover that it's easy to fill up the waiting room with staff that you'll never need. As you start looking for S rank soldiers you should immediately clear out the Waiting Room in anticipation. The hard truth is that if staff haven't been auto assigned already then they'll never serve a purpose in the future. The only exception to this is if you're still expanding platforms and will likely fill the Unit void with low or medium ranked staff in the interim. 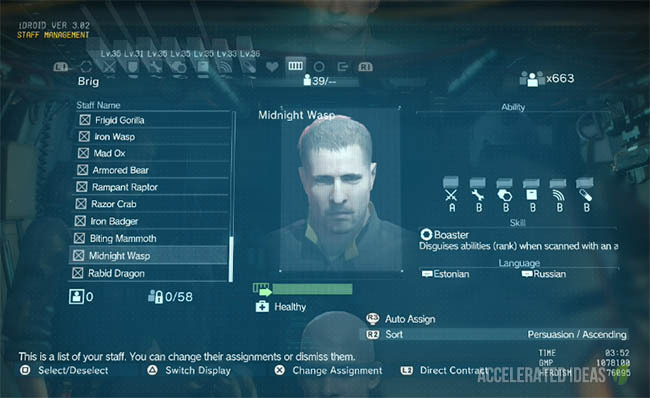 As mentioned above, The Phantom Pain uses a real time progression system for many aspects of the game. This includes weapon development, base expansions, resource gathering etc. I discovered that I could fulton a tonne of soldiers and then leave the game turned on. Over time they were released from the Brig and by morning I had an empty Brig and had levelled up my Units without moving a muscle. The only requirement is to open an iDroid menu option to force an on screen update message to appear. See the image above, which shows the familiar "Convinced X Recruits to Join: Discharged from Brig". This appeared after leaving the game for around 2 hours. This trick also works well for resources which automatically increase in the background. You can safely leave you game turned on and come back to more Fuel Resources and convertible diamonds to exchange for GMP. None of the progression relies on Side Missions or other activities, it's simply a time factor.